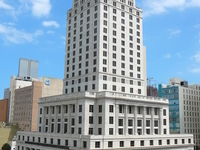 Travelers are voting Miami-Dade County Courthouse as the best court house in Miami. There are 1 court house in South Miami a city just 30 km from Miami and 1 court house in St. Cloud which is 344 km distant. The most popular of these are Miami-Dade County Courthouse in South Miami and Orange County Courthouse in St. Cloud. You can find 4 court houses in Florida and 89 court houses in the country of United States. Our members favorite in Florida is Miami-Dade County Courthouse and Washington County Courthouse is the top pick in United States. Want more? Check out our map of court houses in Miami.